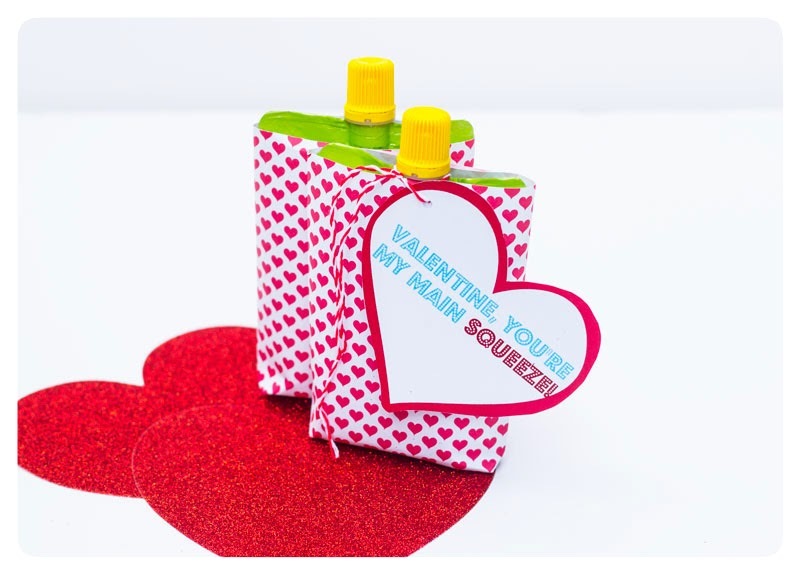 Looking for an alternative to candy for your child's class valentines? You might like this one. 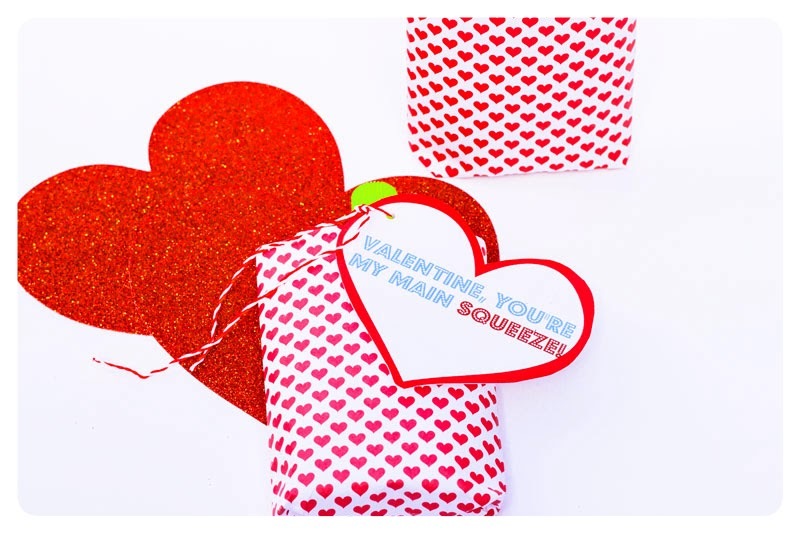 For my youngest, I created a heart tag that says, "Valentine, You're My Main Squeeze" and a heart pouch for the GoSqueeze apple sauce pouches. 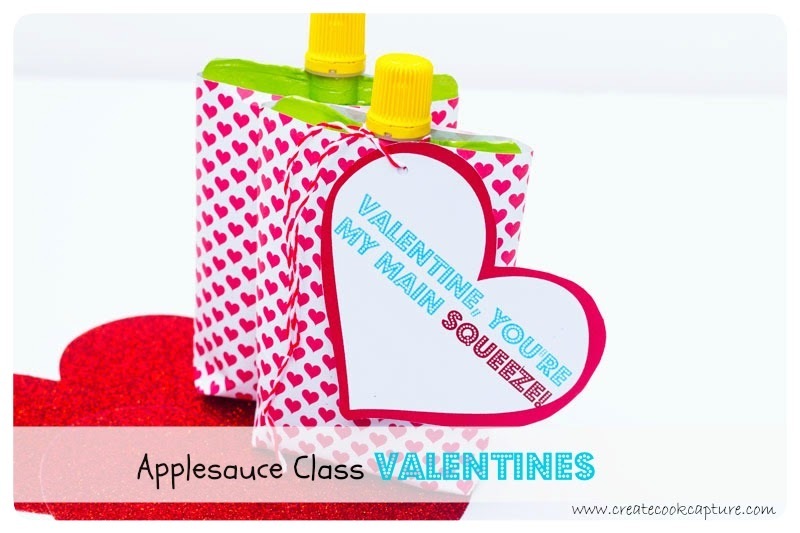 My kids love applesauce and these on the go pouches are always on my grocery list. My kids will do a happy dance just to get one of these. I am offering a free printable tag for you to use. Just add or have your child sign their name at the bottom. Print out the tags onto card stock after downloading the free printable. There are 6 per page. Hand cut the hearts. This goes rather quickly. 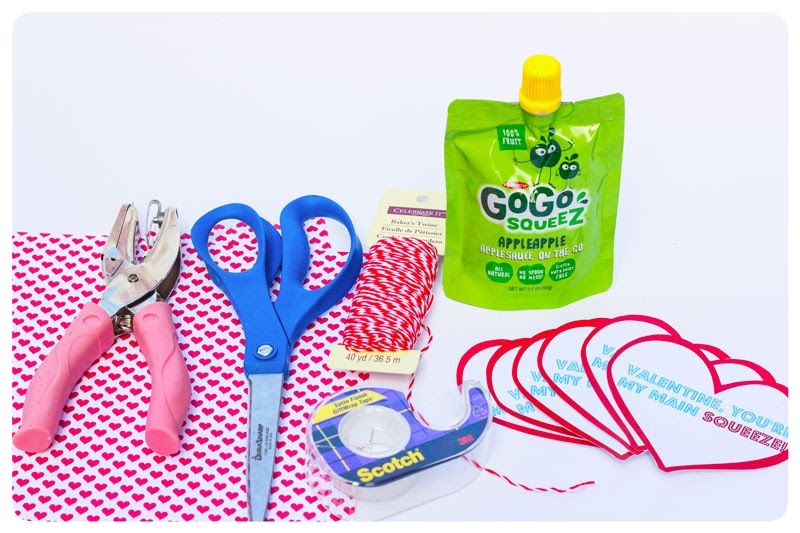 Measure the height of the pouch using the scrapbook paper. 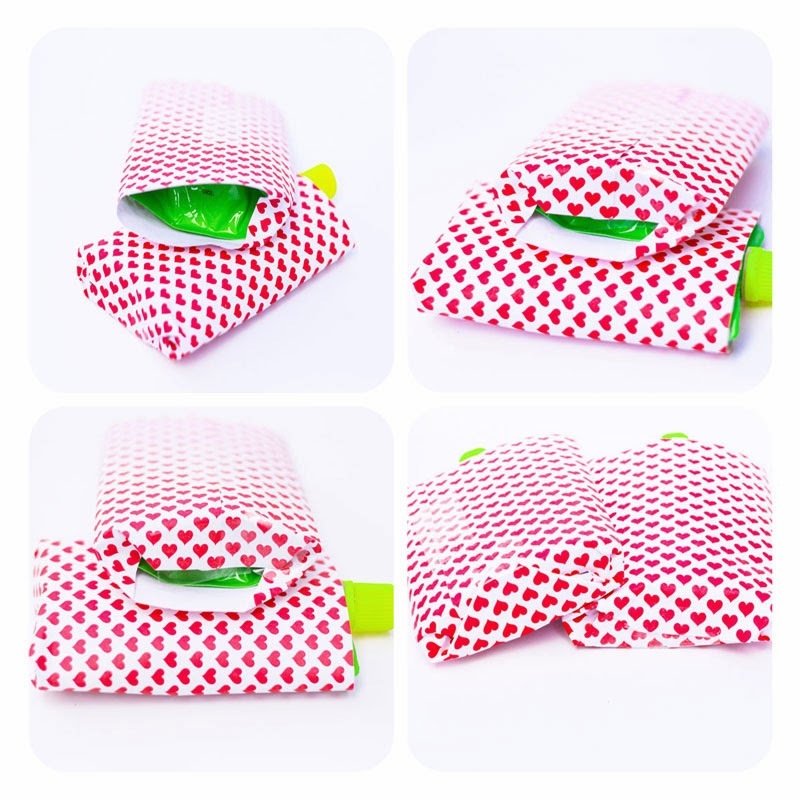 Be sure to add an extra inch for folding on the bottom when making the pouch. Using an 8.5x11 size paper is easier to work with than 12x12. Less cutting and less waste. If you would rather measure using a ruler, the recommended size is 5" x 8.5". Using a paper cutter or scissors cut the scrapbook paper to the desired height. Then wrap the pouch like a present using clear tape. Fold the bottom corners in on both sides and then fold and tape - just like wrapping a present. Punch a hole in the tag and attach with twine or ribbon. That's it and you are done. I had little helpers while doing this project. Surprisingly (not really), I noticed that I had less GoSqeezes at the end of the project than when I started. I wonder what happened...hmmm This is a great project to do with your kids. Just be sure you have enough for the class and as payment for their labor. This is an awesome craft project to share with your kids. These are so cute!! 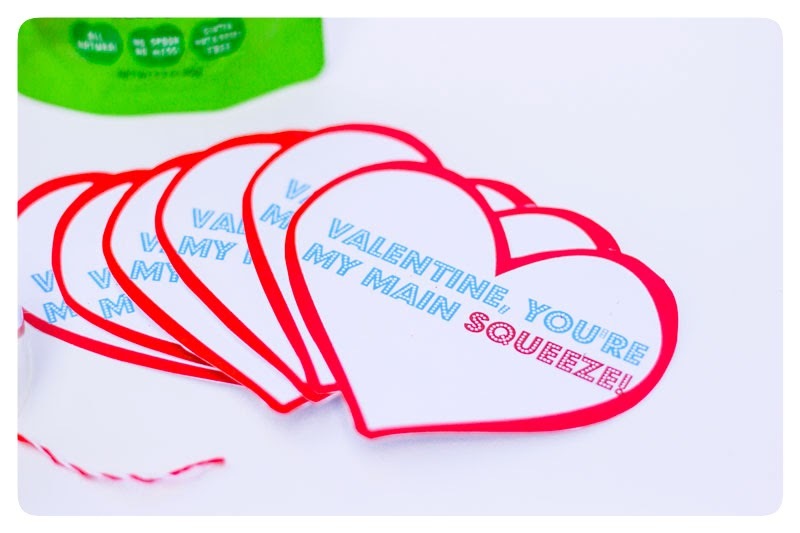 If my kids still had valentine's parties I would definitely consider these. Thanks! The kids and I had a lot of fun making their Valentines this year.